Yaminawa language. Evangelism tools, church planting resources, Christian songs and audio bible study materials. Download free MP3s. Audio Bible readings of whole books of specific, recognized, translated Scripture with little or no commentary. (A64962). Audio-visual Bible lessons in 40 sections with pictures. Contains Bible overview from creation to Christ, and teaching on the Christian life. For evangelism and church planting. (A38296). Audio-visual Bible lessons in 40 sections with pictures. Contains Bible overview from creation to Christ, and teaching on the Christian life. For evangelism and church planting. (A64010). Audio-visual Bible lessons in 40 sections with pictures. Contains Bible overview from creation to Christ, and teaching on the Christian life. For evangelism and church planting. (A64011). 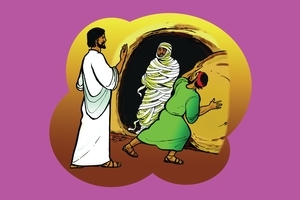 Book 7 of an audio-visual series with Bible stories of Jesus from Luke and John. For evangelism, church planting and systematic Christian teaching. (A38297). Short audio Bible stories and evangelistic messages that explain salvation and give basic Christian teaching. Each program is a customised and culturally relevant selection of scripts, and may include songs and music. (A62933). Audio Bible readings of whole books of specific, recognized, translated Scripture with little or no commentary. (A65439). Short audio Bible stories and evangelistic messages that explain salvation and give basic Christian teaching. Each program is a customised and culturally relevant selection of scripts, and may include songs and music. (A38298). Short audio Bible stories and evangelistic messages that explain salvation and give basic Christian teaching. 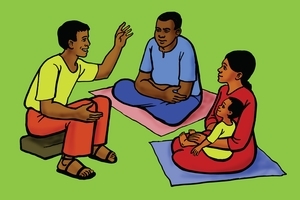 Each program is a customised and culturally relevant selection of scripts, and may include songs and music. (A12390). 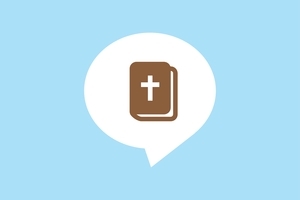 Collection of related audio Bible stories and evangelistic messages. They explain salvation, and may also give basic Christian teaching. (A62932). Other information: Understand Shar.,Yama., Portuguese; external Roman Catholic.